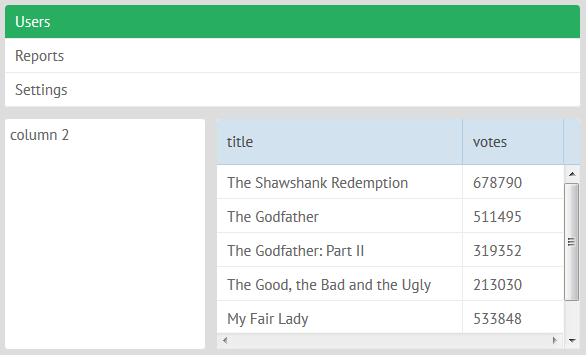 Webix layout and accordion structures can respond to the changes of window size by hiding & showing or moving their rows (cols) depending on currently available space. The size of any component in such a layout/accordion is bigger than the space available for its rendering. The right way to solve this issue is to apply fixed sizing for inner components. Read more on initial component sizing. Views are moved to another place in the layout. To enable view hiding and showing on window resizing, set the responsive property of a layout/accordion to true. When space is not enough, the last view from the left is hidden first. When space is not enough, the middle and right views are more likely to be moved. 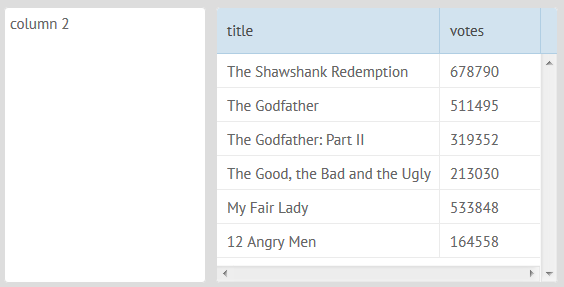 If accordion items are placed into layout during resizing, they will behave like layout rows and cols. Inside of the responsive layout you can mark some cell as non-responsive, so they will not be moved/hidden, even if there isn't enough space to show them. The FlexLayout component will try to place all components in a single row, but if space is not enough, a single line of layout will be divided into a few sub-lines. FlexLayout can be used as a top level view, which is perfect for mobile apps. or, it can be placed inside of a fixed layout to provide a dashboard-like view. This feature will work only in the latest Chrome, Safari, Firefox versions and in IE11+. 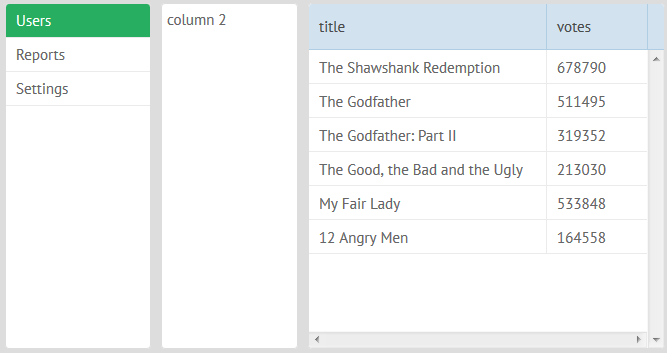 FlexLayout must always define columns, there is no support for rows-based FlexLayout. 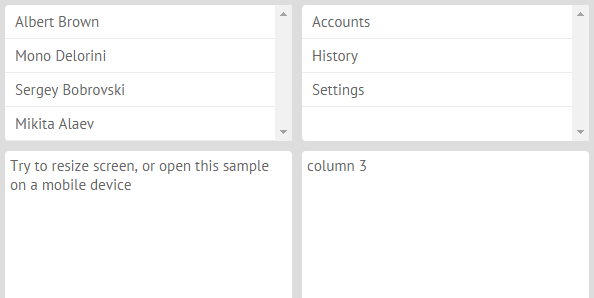 The FlexDataLayout widget behaves as DataLayout and renders each cell as an element of FlexLayout. 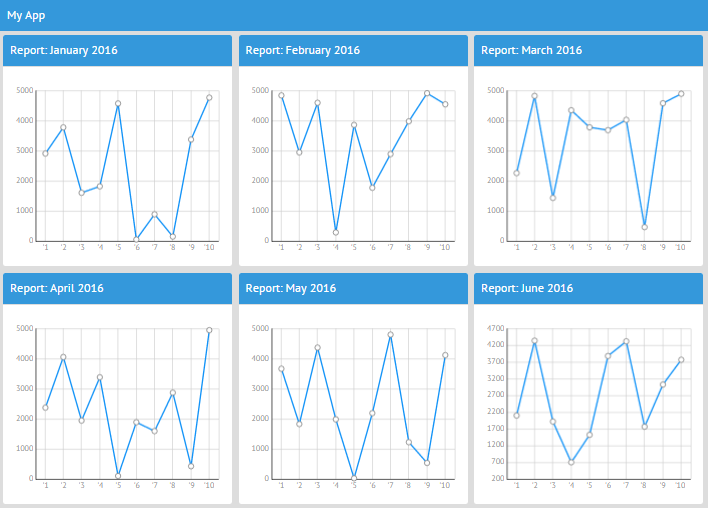 In other words, it is a perfect solution for dashboard-like applications.